Bonus, in office (or Skype) College Planning Deep Dive session with Andy and you/your child, to advise on: college list, class selection, extracurricular activities, summer activities, essay / application review, etc. "College Guru" Software, to help you create a balanced and strategic list and target colleges likely to issue merit scholarships. Note: this proprietary software is the "secret weapon" Andy uses with his private college advising clients. Created by a long-time member of Princeton University's admission committee (and director of financial aid), this tool gives you an unfair advantage to figure out your chances of admission to your "Dream School!" 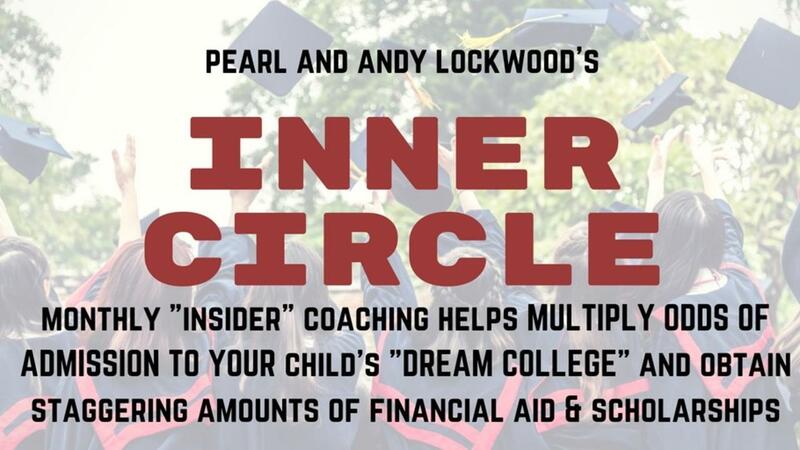 ...or any parent who wants a budget-friendly, but extraordinarily valuable way to access years of in the trenches college advising experience to help them navigate the most confusing - and stressful - period of their teenager's lives!